I’ve learned by now to always be intrigued by the theme, as they never fail to be fascinating, fun and educational. This was no exception. Upon walking into the room, we found that our tastes had already been poured—meaning we would be tasting blind! Now if there’s something else that that I’ve gotten way too lax about besides actually writing for Give Me Grapes, it’s actually tasting my wine. I’ve returned to drinking wine just because it’s so darn good; my leaning curve has flat-lined. It had been many, many months since I’d jotted down tasting notes of any substantial nature. But, I was there and I was determined to give it the old college try. So, back to the theme… Five wines (all Ridge wines, of course). All recently reviewed by one critic and given scores. The top and bottom score have a 10 point spread. No two wines received the same score. We are to taste them and rank them in the order we like best (essentially scoring them ourselves). It’s really an experiment in wine scores. Does it matter if it’s an 88 or a 91? Can you tell the difference between a 98 and a 94? Did we agree amongst ourselves? And were we in agreement with the critic? We were about to find out. Wine A had a strong nose full of blackberry and smoke. It tasted young (but then again I did expect that recently reviewed wines are likely to be recent vintages). The tannins were strong, but it wasn’t high alcohol; I thought it would go well with food. 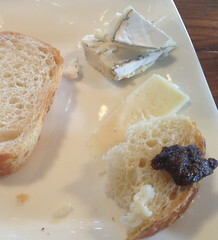 Speaking of which, there were the usual delicious cheeses, fresh bread, and this time other yummies like fig-olive spread. Wine B had a weaker nose than A, I smelled a hint of jalapeno. It was not very fruity, much more earthy and had no real tannins. Wine C had a great nose of subtle fruit. The best one yet, I wrote. It had deep flavors, dark fruit and mild tannins. I wrote this was my favorite one yet. Wine D was stronger again on the nose with lots of berries. More tannins, and nice flavor—a good food wine. Win E’s nose was a WOW! It smelled a little sweet but also spicy. It tasted kinda meaty. I wondered if this was the syrah with a bit of viognier Ridge makes, and I love so much. After my first pass through the wines I was at a loss. 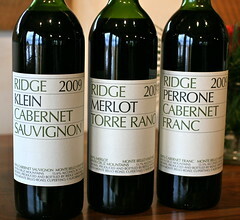 I liked them all, as I’ve never met a Ridge wine I didn’t like. They were clearly all different wines too. Having to rank them was like comparing apples to oranges. And what if I, as the critic, would give two, or even three, of the wines the same score? Unsure how I was going to choose, I rapidly re-tasted each one in the original order. That only succeeded in making them taste like a huge blob of wine. So, I tasted each one with cheese and bread. I finally came up with a ranking, but frankly, it’s almost arbitrary! Wine C—Wine A—Wine E—Wine D—Wine B. As the scores were tallied, we had “a little treat”. It was clearly an older wine, given its color and sediment. It had a great, earthy nose and wonderful flavor. Nice and chewy and still had great tannins and acid. Ladies and gentlemen, we have a winner. This was my favorite! So how did things turn out? Well, you won’t be surprised to learn that our rankings vs. the critic’s vs. each other were pretty much all over the place. 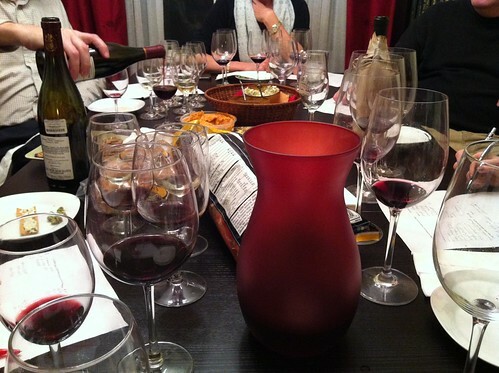 Though, seven of us chose the highest rated wine as our favorite. But three people chose the lowest rated as the best! Seven of us had the same wine in the middle. No one seemed to have the same order and only one picked the same order as the critic. I knew there was a reason I rarely pay attention to wine scores! Wine A= 2009 Estate Merlot, 90 points. It was my second fav. Wine B= 2009 Klein Cabernet Sauvignon, 94 points. My least favorite. Wine C= 2009 Monte Bello, 98 points. I agree, was also my fav. Wine D= 2009 Peronne Cabernet Franc, 92 points. #4 for me. Wine E= 2010 Geyserville Zinfandel, 88 points. Middle of my pack. Moral of the story (as I see it): Any wine that scores 88 or above is good, especially if it’s from a winery you know and like. Critics get paid to taste, spit and score wine. I’d rather drink it because I like it. There have been several highlights in my wine life since my last post. 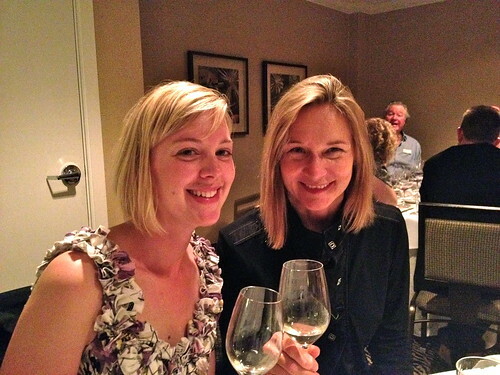 1)Winemaker dinner, 2) Sonoma trip, 3) Wine Club! Let’s discuss. Waaaaaay back in May, Myles and I hired a babysitter (who showed up late), raced up to Millbrae to catch BART up to the city, missed that train, got on CalTrain with a bunch of Giants fans and then took an UberCab to Hotel Palomar for an Elizabeth Spencer Winemaker Dinner. Phew. As usual, we were the youngest in the room (why do people our age not go to these things?). But, we weren’t there to feel old, or young for that matter, we were there to drink wine. All wines poured that evening were from magnums, and while I’m not entirely sure that makes a significant difference on how the wines taste, it was certainly different! We’ve never so much as bought a single magnum, so my experience is quite limited. We started with their Mendocino Sauvignon Blanc, a personal favorite. While I’ve always tended to prefer New Zealand Sauv Blanc for its acidity and citrus flavors, this wine is one of my American favorites. It’s always crisp and delicious and this night was no exception. We drank the 2006 ES Block Seven Chardonnay with our salad. One thing that I really love about Elizabeth Spencer is that they know how to do Chardonnay my way. They seem to purchase their chard grapes only from the Sonoma Coast, and while I know certain versions they have do not complete malolactic fermentation, some do AND see oak AND I still like them! We actually opened a 2007 ES Sonoma Coast last night and I loved it! Sonoma trip! So, we’ve spent time in the town of Sonoma, but before this past July had not really ventured any further north in Sonoma County. After getting a little out of control at the school’s fundraising auction last March (oops! 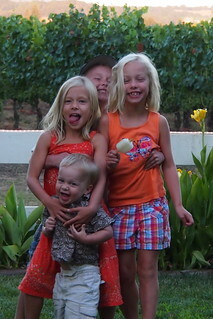 ), we ended up with a weekend in Northern Santa Rosa at an adorable little farm on the edge of a vineyard. We took the kids (and another family) with us. The weekend wasn’t entirely all about wine (there was the rooster who lived across the street...), but Myles and I, of course, ventured out for some tastings. 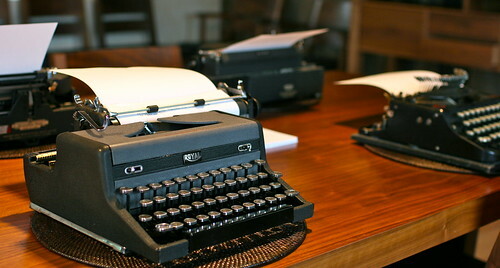 The two highlights for me: visiting Ridge Lytton Springs after enjoying several wine bloggers tastings down at their Monte Bello location and discovering a little winery called Moshin Vineyards in the Russian River area. They had this wonderful rosé, that was really pale orange, not pink. It was so yummy we drank it within a couple weeks of coming home and I’ve regretted only buying one ever since! and a Riesling that I can’t remember because it wasn’t on my original shopping list, but recommended at K&L and now they don’t carry it anymore. Oy! This year we decided to do something I haven’t done, on purpose, ever. We decided to “go to the snow”. Northern California’s most fashionable winter vacation destination is Tahoe, and we’ve still not yet been there. We opted instead to head towards Bear Valley, a bit further south in the Sierra Nevada mountains. Biggest attraction for me, about an hour down the mountain, and our first stop of the trip: Murphys. 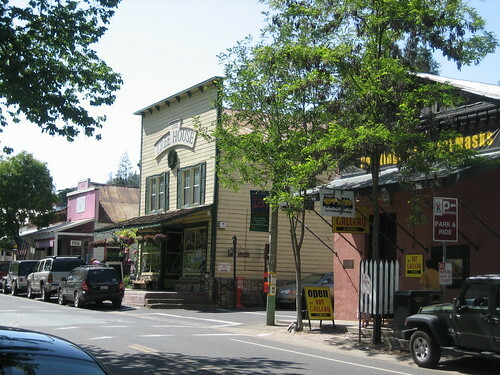 The Sierra foothills wine town. The little main street is lined with tasting rooms, and because we had the good fortune of showing up on the Saturday of President’s Day weekend, discovered we had picked exactly the right time to visit: Presidents Wine Weekend. For $20 you could buy a glass that would get you unlimited tastings at all the tasting rooms in town. All weekend. TWENTY DOLLARS!! This was certainly not the Napa Valley. We’ve been wine tasting in many of the different areas in California, from Santa Barbara to Sonoma, but nowhere has been quite like Murphys. Cowboy hats and motorcycles instead of designer jeans and stretch limos—it was about as different from tasting along 29 in Napa as you can get! 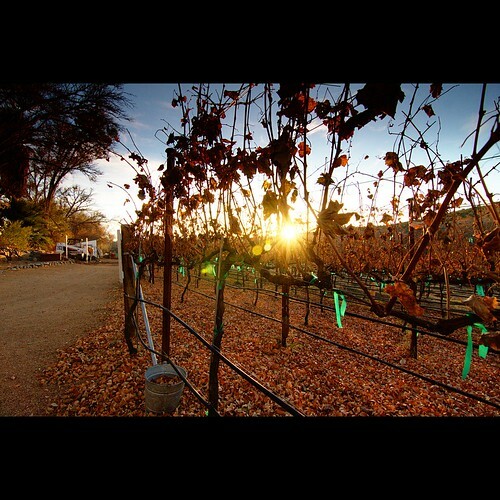 We zipped up our winter coats and trudged along between tasting rooms, starting with a place called Black Sheep Winery. I had faith that good wine was to be found, as we would later seek out the tasting room for a winery I’d had the pleasure of encountering before. But as far as first impressions go… let’s just say this wine was not in a style I prefer (read:dry) and I spit, then poured, most of it into the bushes outside. Not knowing the lay of the land, we stepped into the next tasting room we encountered, Wild Heart Winery, which promised on its sign wine as well as chocolate. Inside there was no chocolate to be found, and the wine was, quite frankly, undrinkable. $20/glass was starting to feel like less of a good deal. Now 0 for 2, we walked down the street further and decided to stop at a tasting room located in a house with a front porch swing, and a toy box. Inside it was crowded. Very crowded. I took it as a good sign that I had to elbow my way up to the bar with Myles and I’s glasses just to get our first pour. Twisted Oak Winery finally gave me what I was looking for: a wine I was willing to swallow. They were pouring too many wines to possibly try, especially considering the crowd. So after trying a few we pulled the boys away from the toys, kicking and screaming, to find the winery we knew: Frog's Tooth Winery. 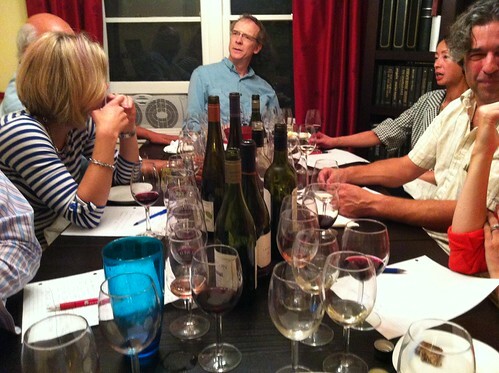 A couple years ago at wine club, the host put in front of us a white wine to try and asked us to guess the varietal. My best guess was Albariño, but it turned out to be Torrontes from the Sierra Foothills. As the most popular white wine of Argentina, I’d never had it before (at the time I’d never even heard of it before!). Similar to Albariño, with its floral notes and medium-bodied drinkability, I’d been anxious to try the Frog’s Tooth example again after discovering that one of our favorite labels, Forlorn Hope, also makes a version. I also hoped that all of Frog’s Tooth’s wines were equally tasty. I was not disappointed. They had an excellent Barbara, a Cab Franc, a Rousanne, among many others all priced at around $20/bottle. We accidentally left with a wine club membership. And a case of wine. The boys were beginning to tire of wine at this point so we took them to play at the park located behind the main drag, right alongside a babbling creek. The afternoon was growing particularly chilly, but we were determined to make our $40 investment in the tasting rooms of Murphys really worth it. We stopped briefly at Newsome-Harlow Vineyards because they had a large patio (with an open table) warmed by the coolest looking heat lamps. It was busy inside so we only tried a couple of their wines, but they were good. Evan finally feel asleep in the stroller as we meandered back up the street towards the car, so I ducked back into Twisted Oak to buy a few bottles and ended up loitering near the register while the winery owner chatted with a couple about how the 2011's were coming along. We ended the day by taking turns in Milliaire Winery, who specialized in decent Zinfandel, but also had a sweet sparkling that was so sickly sweet I could barely swallow. While these wineries certainly seem to cater to a different audience than many of our other California favorites, there was definitely some good wine to be drunk, and just like in Napa, some good wine to be dumped. We can officially check off Calaveras County on our wine country list. I’m not sure how quickly we’ll be racing back up to the snow, we cut our trip short the next day after spending a couple hours in the snow when Connor experienced what I’m pretty sure was altitude sickness. It might be okay with me if another ten years pass before I stand in the show again. 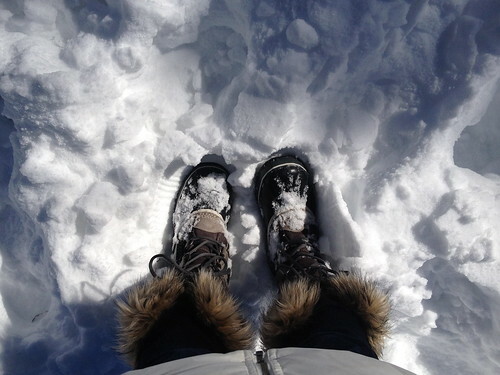 My snow boots are cute, but uncomfortable. Last week was my last week of work for a while, likely just for the summer, but it has been an adjustment. I’m such a busy-body that slowing down to Evan’s 22-month-old pace and reading the same board book 10 times in a row can be a struggle. The last time I took “time off” was the 3 months surrounding Evan’s birth (which was when I started Give Me Grapes). Luckily I’m not having another baby, but among the many things I plan to do during my time is to get back to writing about wine. For the last four months I’ve been working, mothering, cooking, chauffeuring, laundering and sleeping almost like clockwork. There was simply no room in the schedule to deviate from the norm. My wine club hasn’t even met since February! At least there was time to drink wine. There’s always time to drink wine. Currently, I’m learning about “bargain wines”, as Myles and I are working our way through all the inexpensive Marlborough Sauvignon Blancs at Trader Joe’s and Whole Foods in search of the best one. White wine flows freely around here during the summer months, and while we do plan to stock up from Bonny Doon like we did last summer, even those wines are a bit pricey considering the sheer number of bottles we sometimes open each week. Now I sound like a lush… it’s really 2-3 bottles per week in the winter vs. 4+ in the summer. White wine, with its thirst-quenching qualities and lower alcohol content somehow seems to disappear quicker. This is a nice segue back to January’s wine club. As host, I thought it would be an interesting experiment to blindly taste two wines of the same varietal, vintage and AVA against each other. The catch being that one bottle cost approximately twice as much as the other. Could we tell which was the more expensive wine? 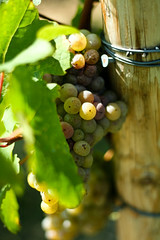 I was especially keen to see the difference between Marlborough Sauvignon Blancs. When it comes to these wines I’m pretty agreeable—never really met one I didn’t like. They’re perfect for hot weather: light, citrusy and utterly refreshing. And since they’re all under a screw-cap, you never have to worry about a bottle being corked. I put a $7.99 wine from Kono (a Trader Joe’s stand-by that they didn’t have when I went last week) against a $19.99 wine from Cloudy Bay, a well known high end wine from the region, both from 2011. There was basically no contest. Six of seven people correctly guessed which was more expensive and also preferred the pricier wine. The Cloudy Bay wine was simply more complex, had a brighter nose and in addition to the citrus had just a touch of tropical fruit. All that being said, the Kono was a great quaffing wine, and does well when you don’t compare it to more expensive competition. It had the unfortunate luck of being Wine B, so we tasted the pricier one first. Overall, people were generally spot on when picking which wine was pricier. What was really fascinating was then we picked which wine we liked better. The numbers did not always match up! For instance, when comparing two Sonoma Coast Chardonnays, one $13.99, the other $26.99, every last one of us knew which was more expensive. But, two people liked the cheaper wine better, and one person was neutral. Then there was me: I hated them both. The cheaper wine smelled like a piece of wood, didn’t have enough fruit or acid and was too creamy. The more expensive wine was too buttery and the finish was all woody. Ick. I will protect the identities of these wines from my stubborn opinions and stick to Sonoma Coast Chards that I like, such as Elizabeth Spencer’s. We also compared two Spanish Riojas (the “losers” of the evening, most people didn’t prefer one over the other), which taught me to always buy cheap Rioja since one was $14.99 and the other $39.99. The last two were also quite surprising. I put a 2009 Côtes du Rhône up against a 2009 Chateauneuf du Pape ($14.99 & $24.99). We all easily identified the latter, but only two people preferred it. The most anticipated pair of wines of the evening, for me at least, was the 2007 Napa Valley Cabernet Sauvignon. I strayed just a bit from the twice as expensive angle by pitting the Robert Mondavi Napa Valley Cab ($26 at the winery, but cheaper at K&L) against the Beringer Single Vineyard Chabot Cab ($90). I really wanted to know if those pricey Napa cabs were worth it. 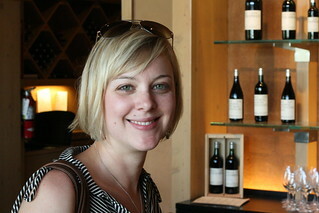 Two people guessed that the Robert Mondavi was the pricier wine (not me, I got it right! ), and two of us preferred it. I liked it better because it was ready to drink. It had a really pleasant berry nose, it was well balanced with good fruit and it wasn’t too strong (often the biggest complaint about Napa Cabs). The other wine was good, don’t get me wrong, but it wasn’t ready. Too tightly wound. Maybe my preference will be different in 2017. 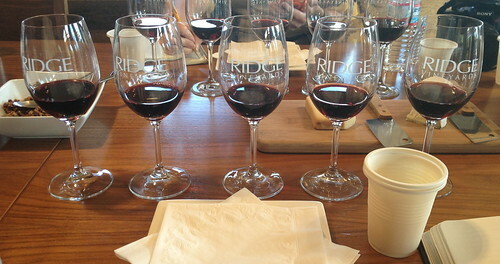 While I’m most certainly ashamed at my infrequent posts lately, I was downright thrilled to be invited back to another wine bloggers tasting at Ridge Vineyards this past weekend. Unfortunately, the sun does not shine when I go up on that mountaintop, but luckily there wasn’t any hail this time. 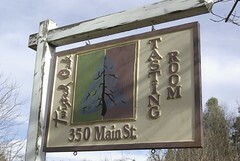 The tasting was on Sunday, so the tasting room was open. 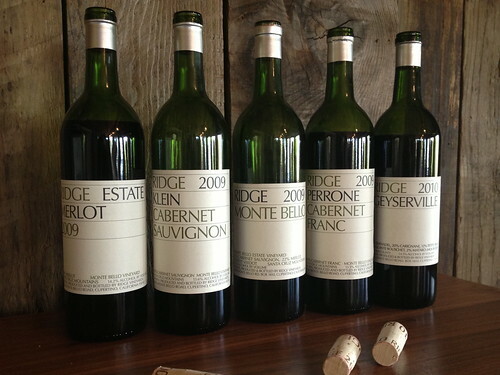 Given that, we conducted our tasting upstairs in “the barn”, fittingly so as we learned that the theme of the day was a bit of Monte Bello Ridge history. 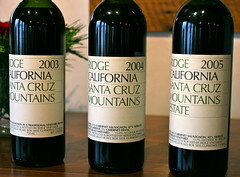 The Estate wines produced by Ridge come from various old school wine properties along the mountain. Ridge has just released the first vintages of some special bottlings, the Beta release, of wines produced from blocks on three original family properties on the mountain, including one from the family who had built the very barn in which we sat. These wines were the highlight of what we would taste. I won’t go too far into the history itself (but I will share this link), although it is quite fascinating to think about how in the world these people built barns, wineries, and planted vines on top of this ridiculous mountain without a car to get to the top! 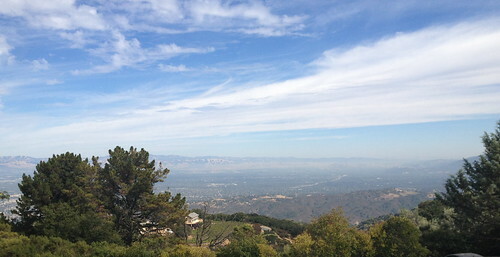 I suppose the view beckoned to them as well, and beautiful it was. The Torre family barn was actually where the first 8 vintages of Ridge wine were made. 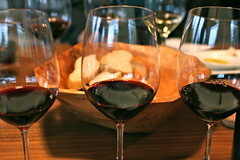 After whetting our palate with some delicious 2008 Estate Chardonnay, we started with the 2009 Klein Cabernet Sauvignon. 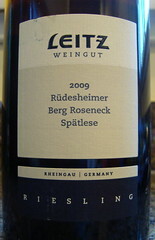 (Unlike most Ridge Estate wines, these wines are solo varietals, rather than assemblages). Up on Monte Bello, cab tends to be elegant and not as tannin intense as merlot, which goes against what we typically think about these two varietals. This wine proved that this is absolutely true. It was a bright purplish-red and had a fruity nose. It had strong acid and mild tannins. There was some fruit, sour cherries, and it was very fresh and readily drinkable now. A very good food wine, so rare in a California cab. Next we moved onto the 2009 Torre Ranch Merlot. Continuing to prove the differences in the varieties grown on the mountain, this full red wine was much fuller on the nose, had less overt fruit and a bit of leather. There was a lot more structure than the cab, very sturdy. Lots of tannins, black pepper and a long finish. It was only when I drank it immediately following a strong soft cheese that the flavors were tamed back down to that typical smoothness that is characteristic of merlot. Last of the new trio was the 2009 Perrone Cabernet Franc, a grape which also tends to have high acid on Monte Bello Ridge. 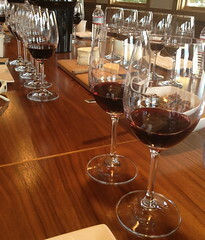 The wine was very fragrant and complex, with no one scent jumping out at me. I could taste the acid and it had great tannins. It wasn’t fruity, but had much more earth and minerals than the other two. The wine was even a little smokey. It drank very nicely, and like the cab, I could happily drink this wine now. We wondered how these wines would age, especially this one as it loses its acidity. We’re only halfway done with the tasting! Next up a short vertical of the Estate Cab, 2003, 2004 & 2005. A great example of how “the same wine” can really vary from year to year. The 2005 tasted years younger than the other two. They were very pleasant and easy to drink, in fact the 2004 had such an amazing nose, perfect balance and good mouthfeel, I could easily sit and drink and drink that wine! The 2005 needs more time. A lot more. Lastly, we ended as we did at the last tasting I attended, with a mystery wine pulled from the personal Ridge wine library of one of my fellow bloggers. I am absolutely terrible at blind wine tasting, especially for older wines given how few opportunities I’ve had to taste them! My notes go as follows: Toasted nose, mild spice cabinet, no fruit, no clue! Has acid and structure, but not overwhelming tannins. I guessed an Italian varietal (no doubt influenced by the mystery wine being Sangiovese last time) from the late 90’s. It turned out to be the 1994 Monte Rosso Zinfandel (which is Sonoma Valley fruit) that Ridge produced that one and only time. I’m giving myself credit for the Italian varietal part (since Primitivo=Zinfandel) and at least I landed in the right decade! Can’t wait until next time. There is hardly a better way to learn about, and experience, wine than in such a beautiful place practically in my backyard (and up a mountain). My educational wine blogger credentials would most certainly be revoked if I didn’t write about my most recent educational wine experience. A couple years ago when I hosted my wine club I thought it might be fun to have us all blind taste the same varietal from California against the same from an unusual wine producing state (which, incidentally, is every state in the union). 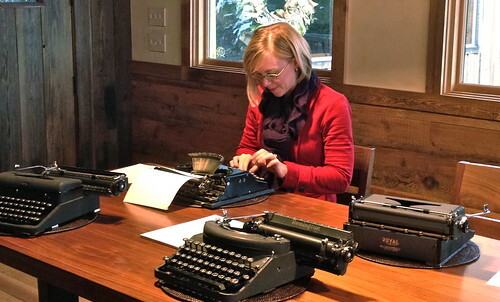 I spent hours pouring over winery websites in Arizona, Ohio, Michigan and Missouri. In the end it wasn’t feasible or usually possible for me to actually get my hands on any of it as most of these places wouldn’t ship to California. Not a huge market for midwestern wines here, I guess. But, Myles and I recently had the pleasure of spending a long weekend in Phoenix, Arizona (without the kids!) and some good friends of ours suggested we meet for dinner at a restaurant in Scottsdale, FnB. Not only was the place a culinary masterpiece (Fried green tomatoes. Pasta with bacon. Yes! ), but the wine list was the most intimidating I’ve encountered in a while. Every last wine on the list was produced in Arizona. Finally, I was getting my chance to try wines from my former home state. I had fully intended to study up on Arizona wine beforehand, as I was aware of this curiosity, but alas, I went to dinner completely blind. Now the only AVA in the state is called Sonoita, which is in the Tucson area. And I thought there were grapevines near Williams, which is where you get off the I-40 to head up to The Grand Canyon (I’m still unclear on if this is true). When it came time to order drinks everyone at the table looked to me (I was apparently wearing my “wine expert” shirt that night). I took some guesses and we all ordered a glass of something different. Most of the wines on the list were from Cochise County, which is the very southeastern corner of the state. I’m completely unclear whether or not these wines were also from the Sonoita AVA, I couldn’t find a map of what that area is, only a description that it is south of Tucson (Cochise county is southeast of Tucson). And because we ordered by the glass I never saw any bottles. So, who knows! At any rate, here’s what we tried: 2009 Carlson Creek Sauvignon Blanc, Cochise County. 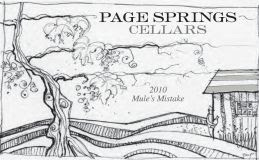 2010 Page Springs “Mule’s Mistake”, Cornville II. 2010 Arizona Stronghold “Dala” Cabernet Sauvignon, Cochise County. 2009 Pillsbury Roan Red, Cochise County. They were all pretty good, easily drinkable and none overpowered the amazing food. When it came time for me to order a second glass (the “Roan” red was my first glass), I ordered the clear winner of the evening: Mule’s Mistake. The waiter said it drank like a pinot noir, and he was absolutely right. Of course, there’s barely any pinot in it (it’s 56% Barbara, 11% Pinot Noir, 10% Grenache 10% Cabernet Pfeffer, 10% Counoise and 3% Viognier). Also turns out that Cornville is in neither the Sonoita AVA or Cochise county- but near Sedona, Arizona, which is north of Phoenix. For a wine that was a “mistake”, I was incredibly impressed. And upon learning that it sells for only $18 a bottle on the winery website AND they ship to California... I think I’ll soon have some Arizona wine in my cellar! In an effort to enable us to open the next German wine, as I can’t open it until I write about the last one, I’m writing this post! It’s really hot today, so I’m going to make this somewhat brief as the laptop is hot and I’m wearing shorts, an unfortunate combination. This time I had another spätlese, wine made from grapes of the same ripeness as the last one, however, this time it was from the Rheingau. Some Rheingaunian trivia: this area is also along the Rhine river, as is Mosel, in an area where the river stops flowing northward and instead flows westward for about 30 kilometers (that’s about 18.6 miles). Most of the vines are located along the right bank of this stretch up the south-facing slopes of the Taunus mountain range. 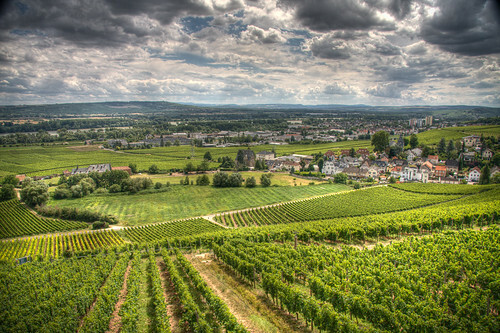 The vineyards here make up only about 3% of the total acreage in all of Germany, yet the wines from some producers here are internationally known. Riesling truly is king here, making up nearly 80% of the wines here. Apparently there’s also a good deal of pinot noir, although after the atrocious cold climate pinot noir from Canada we had a couple years ago I’m afraid to try another. Obviously Germany and Canada are different places, but that wine was so awful it has turned me off from all pinot noirs grown in areas that also produce icewine. Unfortunately, I didn’t enjoy this spätlese as much as the Mosel representation, which is particularly unfortunate given that this one was $35.99 and the other $18.99. It was a great wine, don’t get me wrong, but had less acid and more body. The Mosel spätlese was still refreshing despite the residual sugar, but this one coated your throat with its sugar. It had some teeny, tiny bubbles floating in the light yellow color of the wine. There was a powerful butterscotch and honey aroma, with a hint of flowers. Definitely a sweeter wine with a medium body. Had that slight effervescence, which unfortunately doesn’t last to day 2-- or 3. It was heavy enough that it was hard to drink a lot, thus taking us 3 nights to finish the whole bottle, although I still wouldn’t classify this as a dessert wine.